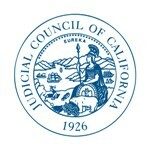 Members of New Internal Council Budget Committee: The Chief Justice announced the members of a new committee that will review recommendations on statewide budget changes, the use of statewide reserves, and proposals for grant funding for judicial branch innovations. The new members are: Judge David M. Rubin (chair); Justice James M. Humes (vice-chair); Judge Marla O. Anderson; Judge Gary Nadler; Judge Dean T. Stout; Judge Jeffrey Barton; Judge Kyle S. Brodie; CEO Kimberly Flener; and Attorney Audra Ibarra. More information on these members can be found on the council’s website and this news release. Community Corrections Report: The council accepted a report on the effectiveness of SB 678, also known as the California Community Corrections Performance Incentives Act of 2009. The report found that in each of the six years since the start of the SB 678 program, probation departments have increased their use of evidence-based practices and the state’s overall probation revocation rate has been lower than the original baseline rate of 7.9%. Substance Abuse Focus Grants: The council approved funding programs in 49 courts for FY 2016-2017 to expand or enhance promising collaborative justice programs around the state. Editorial: Who Will Judge the Judge?